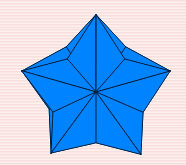 Here is another tutorial for making 3D star Modular Origami. 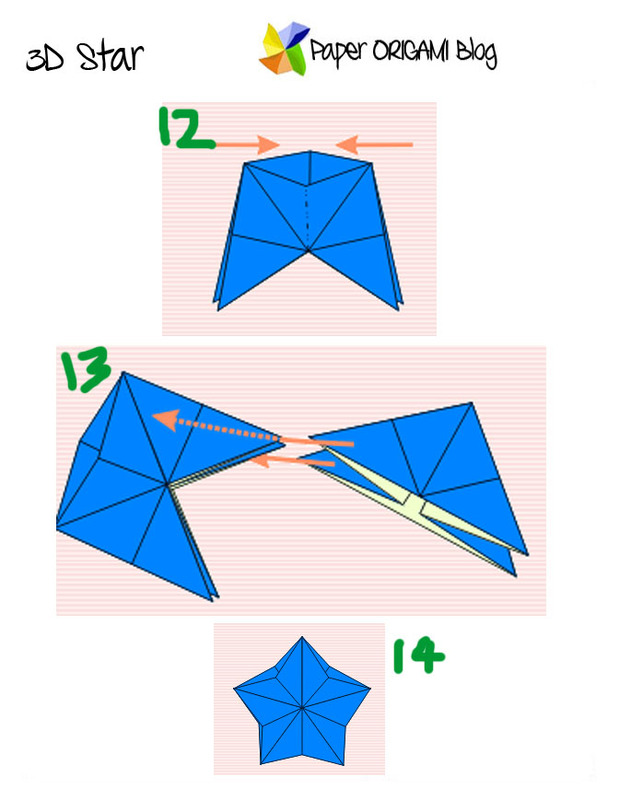 Modular origami is being used for decorations in different occasions. If you have bright and artistic mind you can use it to magnify your decorative skills. Teachers used it for classroom designs. 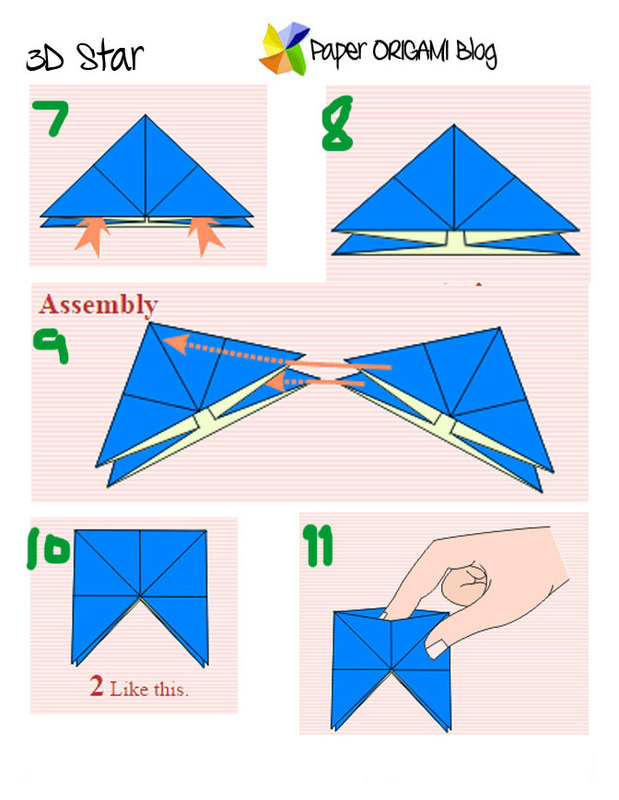 So, here is the simple tutorial how to complete the folding. 1. Begin the colored side up. 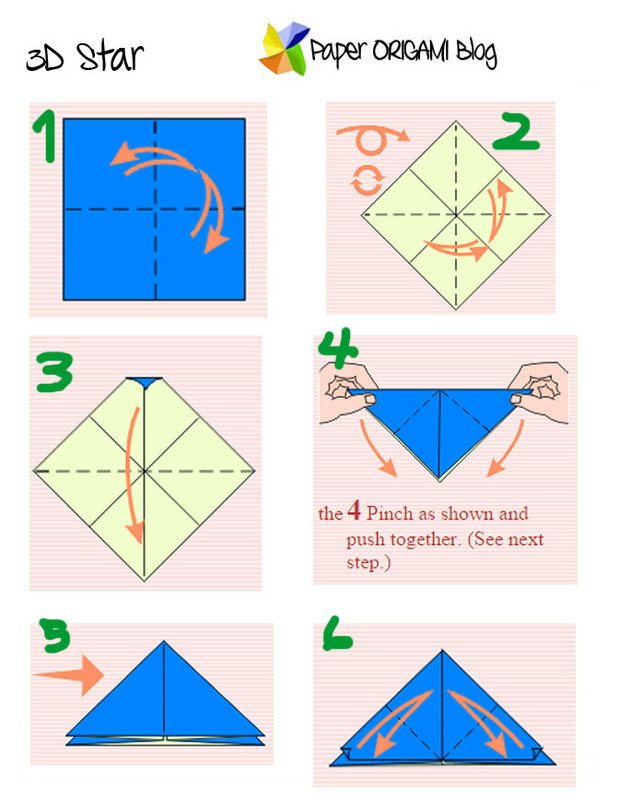 fold the bottom to meet the top and unfold. then fold the sides together and unfold. 6. Fold the top layer of the sides points up to the top. Press them flat and unfold them. then, repeat behind.